I am a member of the Collective Bias® Social Fabric® Community. This tailgating shop has been compensated as part of a social shopper insights study for Collective Bias and their client. 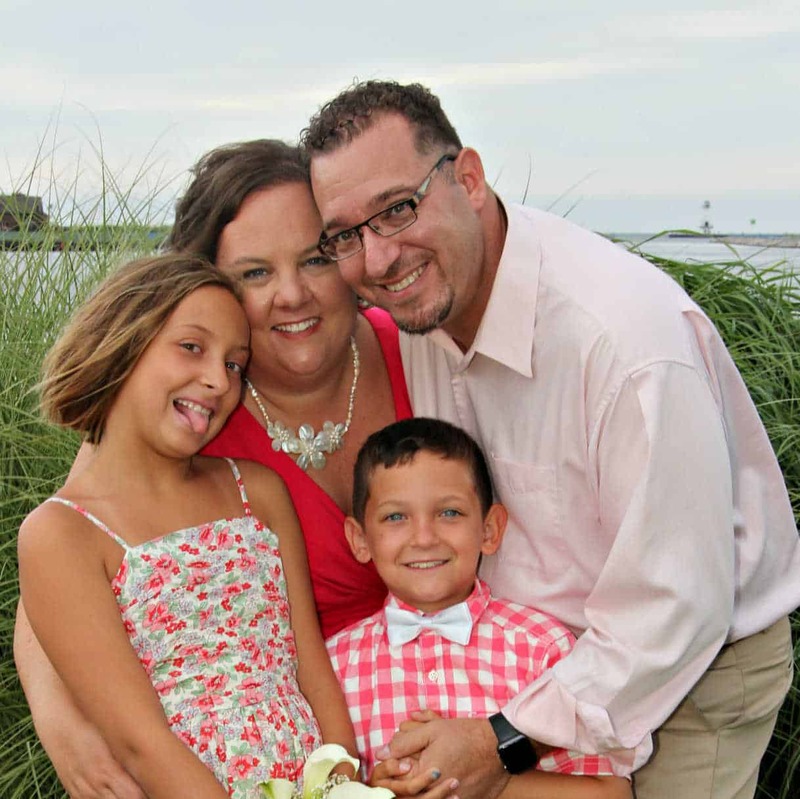 It is officially one of my favorite times of the year – football season! Not only do I get to spend the next several months watching my favorite teams play, but I also get to eat tailgating food. We don't really get much of a chance to tailgate these days, but we do get together with family for the games and make lots of easy party food to munch on. This is one of the easiest party foods you'll ever make. 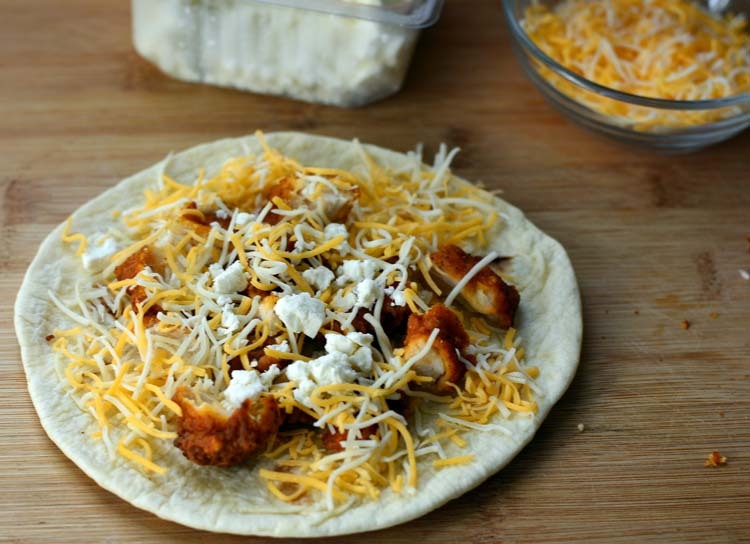 The ingredients are so simple – Tyson Buffalo Chicken Strips, Monterrey Jack cheese, and feta or bleu cheese. I'm not a big fan of bleu cheese so I used feta cheese but bleu cheese would be great with the buffalo strips. I did pre-cook the Tyson Buffalo Chicken Strips in my toaster oven according to package directions. I wanted to be able to just heat everything up on the grill and not worry about cooking anything. The chicken strips have a nice mild to medium buffalo flavor so I opted to leave out any additional buffalo sauce as well. 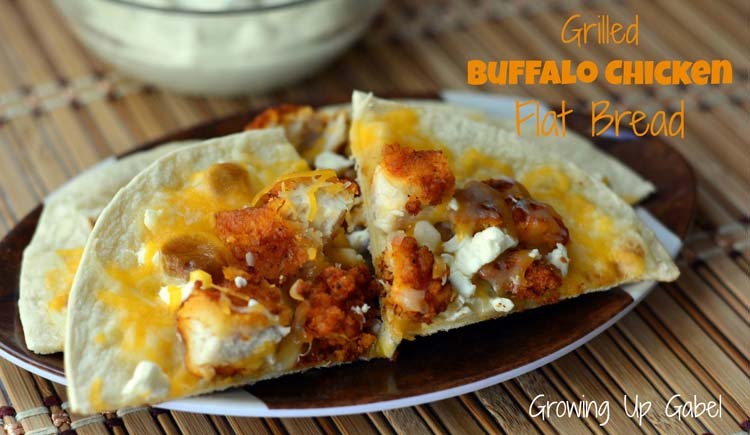 Top each flat bread with the diced buffalo strips and cheese. Make sure to get the cheese to the very outer edge of your flat bread for extra cheesy, goodness. Put the flat breads on the grill on indirect heat just long enough to toast them up and melt cheese. This took roughly 5 minutes. Remove the flat breads from the grill and cut in to 4 pieces to make them easy to eat. I served mine with a side of bleu cheese dressing. I totally forgot about the celery I'd bought to also serve with them! But I'd serve with a side of celery and carrot sticks, too. The flat breads are great for a pre-game appetizer while your grill heats up for whatever other fun tailgating recipes you have planned. Make sure to check back in few weeks. I'm attending a demo at Sam's Club on October 5, 2013 and I heard about a cool new app that I can use on my smart phone while at the demo to enhance the Finger Football experience. I'm sure the Sam's Club near you may be demoing the Tyson Buffalo Chicken Strips too plus the first 200 people that attend the demo get a free Finger Football take home kit! Pre-heat grill on medium heat. 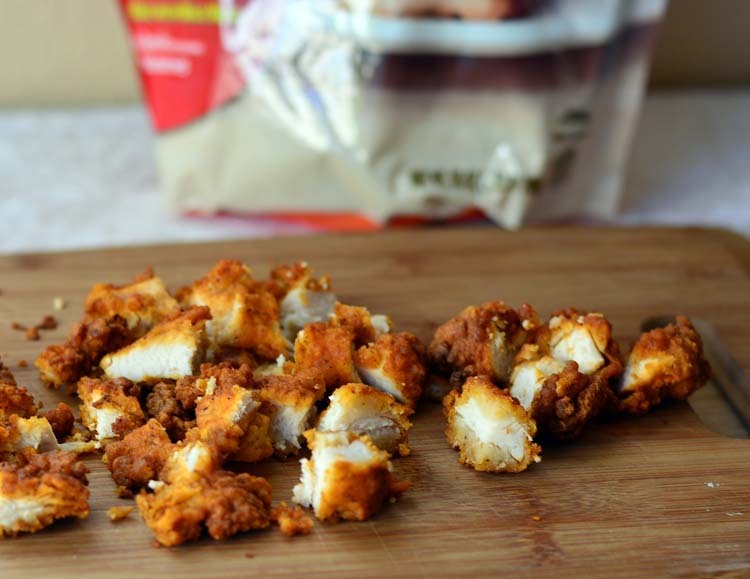 Cook Tyson Buffalo Chicken Strips in the oven according to package directions. Allow to cool and then dice in to bit size pieces. 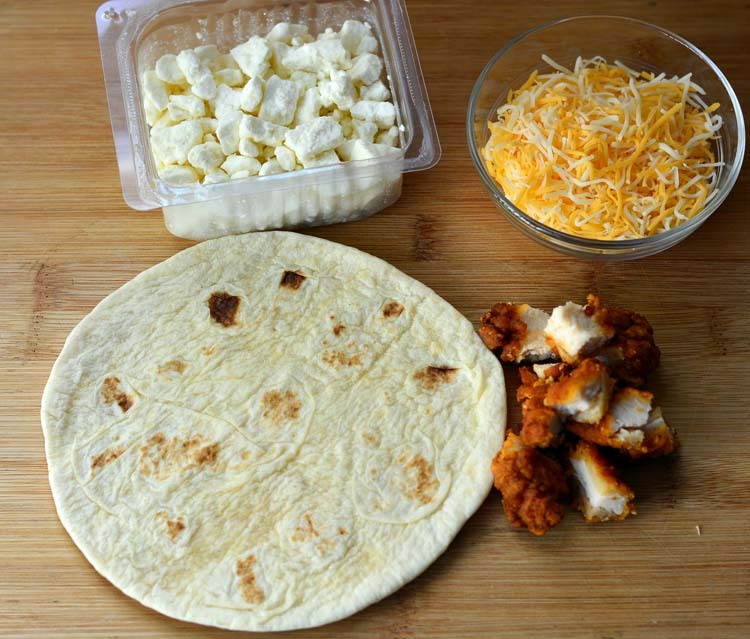 Top each flat bread with diced chicken strips and cheeses. Grill flat breads on indirect heat until flat bread has browned on the bottom and cheese is melted on top. Remove from grill. Cut each flat bread in to quarters (4 pieces) and serve with bleu cheese dressing on the side for dipping. Great idea, it looks really good! 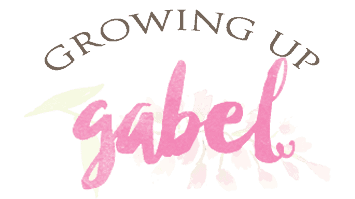 Thank you so much for sharing with Full Plate Thursday and hope your weekend was great! Yum! My family loves buffalo chicken anything, so I’m pinning now. Thanks for sharing at Inspire Us Thursday on Organized 31.
what a terrific idea – I love buffalo style anything! Great recipe idea. I’ll have to head to Sam’s on the 5th to check out the demo. Sounds like a lot of fun! An awesome recipe, I’ll have to make it at some point as it’s just way too yummie to pass! How easy! 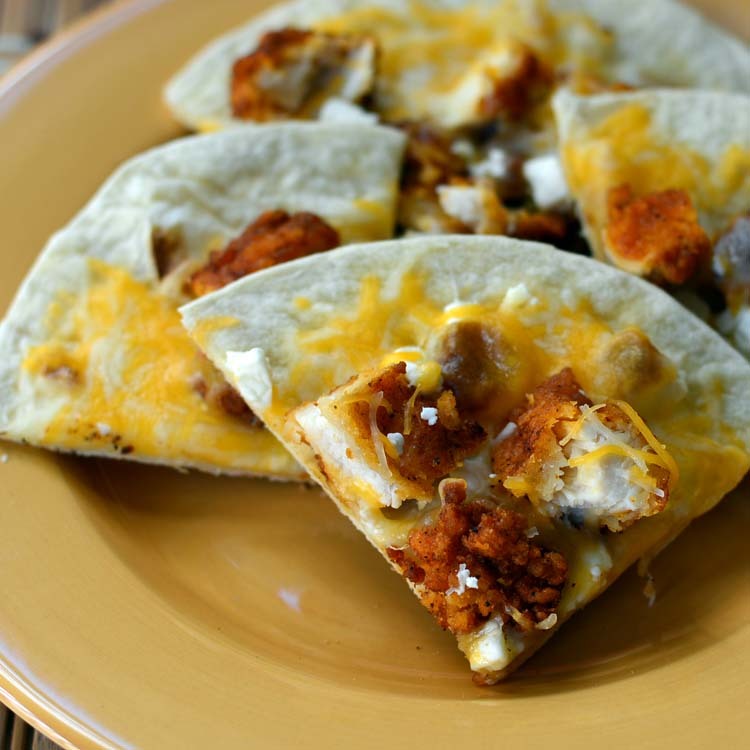 I love anything with tortillas so I will definitely have to make these. Oh this sounds absolutely amazing! We love buffalo chicken! I have to try this! this looks amazing. I will be making this asap.